Honorary life membership is being conferred upon Associate Professor Jackie Lublin, particularly in recognition of her long and distinguished service to the Society. 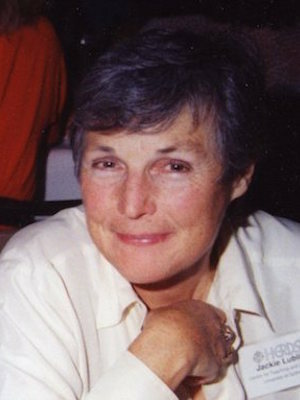 As one of the early members of the Society she served on the Executive from 1973 to 1985. During this period she served as Secretary for two years, 1979 to 1980, and as President for four years, 1980 to 1983. She was convenor of the HERDSA Conference in Sydney in 1984 and editor of Research and Development in Higher Education, Volume 7. Her work for the Society also included active involvement the generation of policy submissions to bodies such as the Australian Commonwealth Tertiary Education. Her Green Guide No. 6, Conducting Tutorials, was published in 1987. It has proved to be one of the most popular of all the Green Guides and is still in demand both in Australasia and elsewhere . As Director of the Centre for Teaching and Learning at the University of Sydney, Associate Professor Lublin made a distinguished contribution to teaching and learning in higher education. In more recent years, her work to improve the quality of teaching in universities has been recognised through a range of consulting opportunities in Australian universities. She has encouraged HERDSA to give serious consideration to the issue of accreditation of university teachers, initially promoting discussion of the issues across the sector, then working on the preparation of a HERDSA discussion document. During a recent visit to the United Kingdom she monitored developments in this area on behalf of the Society. Most recently Jackie acted as a consultant for the Society, with a brief to prepare a strategy document outlining a way forward for the 'HERDSA recognition of courses for university teaching ' initiative. In my brief time as President of HERDSA, Jackie has been there quietly in the background , willing to provide advice and assistance and continually supportive of the primary purposes of the Society . It gives me great pleasure, on behalf of the Society, to confer Life Membership on Associate Professor Jackie Lublin.